The following is a guest post by Alan West, Founder and Board Chairman of our partner XMS Solutions, Inc. In December of last year, I traveled to New York to participate in a Windows Migration Roundtable event with Dell. I joined Dell executives, a customer and media to discuss Windows Server 2003 end of support; how we, as a channel partner, can play a critical role in migration projects; and why organizations should look to channel partners to help implement and execute migrations and infrastructure modernization projects. Many IT decision makers and administrators are recognizing the urgency to get moving on their migration. As Windows Server 2003 end of support approaches, you should start considering your options – and you should start by choosing a partner. A partner is familiar with common problems and roadblocks involved in migrations, and can help you not only migrate but modernize your business critical apps including (but not limited to) Active Directory itself. In addition, as a Dell Premier partner, we hold Dell competency certifications in Systems Management and a Security competency in Identity and Access Management (IAM). 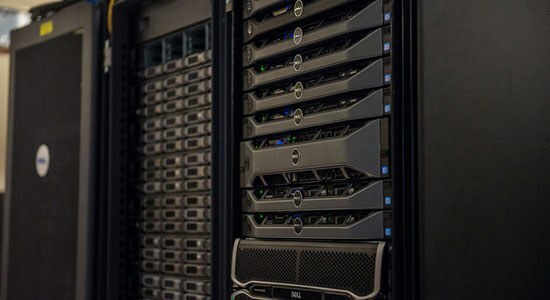 Our extensive knowledge of Dell’s products and services enables us to identify additional Dell solutions to help manage the customer’s IT environment. As a Dell partner, we are committed to customer satisfaction. XMS invests time on site with the client to build a level of trust. Partners such as XMS have experience in a variety of different industries such as healthcare, energy and finance. We use that experience and knowledge to make recommendations on how to best approach each individual project. At XMS Solutions we are migration experts, which makes difficult challenges as perceived by the business easier to address. We have done thousands of migrations across just about every vertical imaginable, including healthcare, finance, pharma, energy, manufacturing, and more. We frequently encounter application authentication challenges during Windows Server 2003 migrations, as its default values are different than those in Windows Server 2012R2 for things such as NTLM authentication levels, SMB signing requirements, and even Kerberos settings to mention a few. Using LAN Manager (LM, and NTLM) authentication as an example, NTLMv2 was actually introduced in Windows NT SP4. However, very few network clients leveraged NTLMv2 yet and a short time later Server 2000 was introduced. While Server 2000 technically supported both NTLM and NTLMv2, the preference was to send LM and NTLM authentication responses and to scale to NTLMv2 only if negotiated. In order to facilitate backwards compatibility, Server 2003 maintained this approach. However, in Server 2012 the default value is to send NTLMv2 responses only – so any clients or applications dependent upon a LM or NTLM authentication response will fail. This is an example of something we’re quick to spot. We see these and similar issues in probably 50-75% of IT environments. Another instance occurs when you grab a file from file share. With Server 2003 OEM release, Server Message Block (SMB) requests did not require signing. Starting with Server 2008, SMB signing is required (by default) – so users can see the files, but can’t open them. Other problems include additional unexpected security and network issues. Often, much of our time is spent modernizing the other components of the IT environment to support the migration. Currently, we are working with Dell to consolidate the IT infrastructure and migrate over 19,500 employee and more than 20,000 network physician accounts at a large, clinically integrated health care delivery system. The first phase of the migration project focused on the consolidation of the provider’s IT environment, which lays the groundwork for projects in subsequent phases. Using Dell NDS Migrator, Migration Manager for Active Directory, Enterprise Reporter, Recovery Manager for Active Directory, and Secure Copy we are creating a single Active Directory environment to make maintenance much easier. We are continuing to work with the customer to address their IT challenges and manage their environment, including converting from ZENworks to SCCM, converting thousands of print queues from Novell to Windows, joining approximately 8,000 non-domain machines to the authoritative domain, and ultimately introducing identity management components such as self-managed passwords, automated provisioning/deprovisioning of user accounts, and more. Whether you have 19,500 employees like our healthcare customer or you have 25, I challenge you to find a migration partner soon. When choosing a migration partner, ensure that the partner is a migration expert who can also help modernize your overall directory services environment. Alan West, Founder and Board Chairman of XMS Solutions, Inc.
After launching multiple tech startups during the mid-90’s, Alan eventually accepted a position of Director of IT at a paging industry consolidator in 1999. It was here that he initially developed his migration/consolidation methodology, primarily focused around acquisitions of companies running Windows NT4. Joining Microsoft Corporation in 2004 further developed his understanding and technical skills necessary for modern migrations, and led to a position at M3 Technology Group as Partner Channel Sales Director responsible for the firm’s relationships with Quest Software, SAAVIS, and many others. 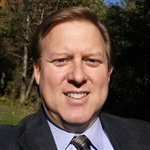 In 2008, Alan launched XMS Solutions to advance existing relationships with firms requiring expert level, international grade Professional Services consultants.